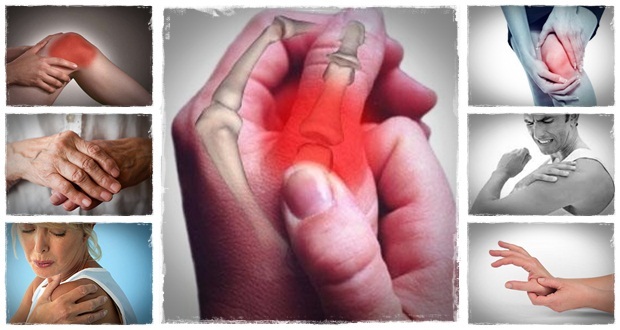 Arthritis is a painful inflammation and stiffness of the joints that usually affects the hands, spine, knees and hips. There are two common types: rheumatoid arthritis and osteoarthritis. Depending on the type of arthritis being treated, conventional medicine usually relies on managing the disease with Non-Steroidal Anti Inflammatory Drugs, Corticosteroids, Anti-Rheumatic drugs and painkillers. Physiotherapy and regular exercise are also quite effective in arthritis management. The conventional medicines usually administered to arthritis sufferers usually come with serious side effects that pose a challenge to successful disease management. However, research has shown that by harnessing the healing power of nature hidden in certain foods, arthritis sufferers can significantly reduce their disease burden improve their quality of life. Turmeric – Turmeric is one of nature’s powerful antioxidants. This all-round spice is also known to possess powerful anti-inflammatory properties. Research has shown that Turmeric has great potential for reducing inflammation throughout the body. This makes it a great addition to the diet of arthritis sufferers. Cherries – Packed full of resveratrol, making cherries a regular part of your diet can reduce arthritic symptoms fairly quickly. Researchers at Inonu University in Malatya, Turkey, have deemed resveratrol an effective means of treating inflammatory arthritis. Apple Cider Vinegar – While many of the health benefit claims attributed to ACV are questionable, one established health benefit of ACV is its anti-inflammatory capabilities. Many arthritis sufferers have made ACV a regular part of their diet and have reported significant improvements in their conditions. Nature’s lab recommends Braggs brand of ACV. Olive Oil – Our recommendation is for everyone and not just arthritis sufferers to incorporate more olive oil into their diets. This is a great source of Mono Unsaturated Fatty Acids, which researchers in Japan have shown to be beneficial in reducing symptoms of rheumatoid arthritis. Limes – Limes are a rich source of a particular flavonoid called naringin. Researchers at Kitasato University have found Naringin to be highly effective at reducing inflammation of the joints, which is one of the mainstays of arthritis. Cayenne Pepper – If arthritis has put a dampener on things then perhaps you could spice up your life with a bit of cayenne pepper! Rich in a compound called capsaicin, researchers at the University of Toronto have shown that adding cayenne pepper to your diet can help reduce arthritic pain and inflammation. Garlic – Allicin is the anti-oxidant compound found in garlic that has been shown to have inflammation-fighting properties. Add more flavour to your diet and reduce the impact of arthritis on your life in one fell swoop. Carrots – Researchers at Johns Hopkins University have established a link between arthritis and diminished levels of Beta Carotene in individuals. Adding more carrots to your diet can help protect individuals from developing arthritis in the future. Green Peas – The small but mighty green pea is not only a great source of the antioxidant, Vitamin C, but also contains Omega-3 fatty acids, which researchers at the Arthritis and Metabolic Bone Disease Research Unit at the University of Leuven have found to be effective at managing arthritis syndrome. Basil – According to research published in the American Journal of Clinical Nutrition, basil has been shown to be effective at suppressing a wide variety of arthritic symptoms. Adding some basil leaves to your diet can positively impact joint health significantly. Avocado – Research published in Arthritis & Rheumatology showed that supplementation with an avocado-soybean fat blend significantly relieved arthritic inflammation even after the trial concluded. This superfood is no lightweight when it comes to packing a punch against arthritis and its symptoms. Adding more avocado to your diet can significantly improve joint health. Lemon – Just like limes, lemons are rich in the antioxidant naringin which has been shown to have inflammation-fighting properties. There is a lemon and olive oil based recipe that you can apply to painful joints for effective relief of symptoms. When it comes to your joint health and reducing your risk of developing arthritis later in life, changing the way you eat and applying the right exercises can make a world of difference. Include some of the above foods in your diet and expect to see improvements in your arthritis symptoms or general joint health.